Is Michigan experiencing an unsustainable student loan bubble? 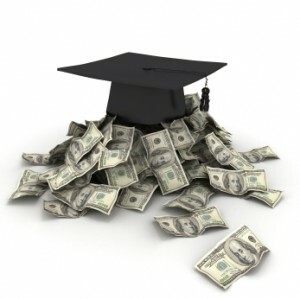 Students at Michigan’s 15 public universities took out nearly $2 billion in student loans in the 2009-10 school year. That one-year, statewide student debt load increased $600 million – or 49 percent – in just three years (from 2007 to 2010). You could nearly fill Spartan Stadium twice with the number of Michigan university students - 147,389 - who took out unsubsidized federal Stafford Loans in 2010. That’s 54,000 more unsubsidized Stafford Loan debtors at Michigan universities than in 2007. A commercial web site, staffordloans.com, quotes a current rate of 6.8 percent on unsubsidized Stafford Loans. That’s 70 percent higher than current 30-year mortgage rates for home buyers with good credit. Four universities in Michigan granted fewer degrees in 2010 than in 2007 even while annual student loan debt on those campuses increased between 36 percent and 80 percent. Among numerous possible explanations, those numbers may hint at increased challenges many students face in balancing studies with jobs needed to help pay for school. With other countries paying all or part of university/college education, it is frightening how much at risk we are putting ourselves with regard to foreign completion in the next 15 to 20 years. If the interest rates on student loans were halved, or even placed at a maintainence level, our universities would attract more, highly intelligent, middle and lower income students and increase our standing in both education and economic base.